Today’s post will enable you to impress even your most difficult friends. The next time you are hosting afternoon tea, share the history of each part of your tea set. Jaws will drop. Eyebrows will shoot up. You will give the general impression of a person who knows all and is able to show it with class. Ready to be brilliant? Our guest post is from Joelle Grubb from Teatime Traditions. In this short article she slices and dices through the traditional tea set giving you important information about each and every piece of tableware. Enjoy and don’t forget to throw your knowledge around to amaze your friends! Tea, being the most popular drink in the world, is said to have originated in China and so also the tea set. The Chinese prefer to drink their tea from ceramic cups without handles; a small drinking bowl around which you could ‘cup’ your hands. 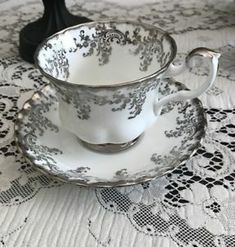 The first tea cups were small enough to be taken up by two or three fingers and held about two or three tablespoons of tea. It wasn’t until the 17th century that the saucer was invented, so the cup, being too hot to be held in the fingers, could be rested upon it in between sips. The saucer has its own unique history of use, not only being a place to rest the cup but was often used to pour the tea into allowing it to cool down more quickly. When placed on top of the cup, the saucer is said to aid the brewing process. 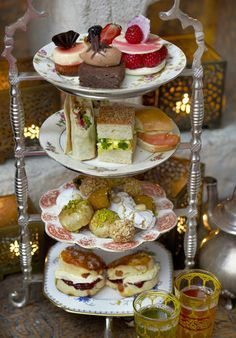 In the early history of tea drinking, tea cakes (compressed tea leaves) and other spices were placed directly into the cup and water poured over the top. It was not until the Song Dynasty (960-1279 A.D.) that the teapot was invented. By the time the Ming Dynasty (1368-1644 A.D.) was at its height loose tea leaves were being used instead of tea cakes and this produced paler liquor which was much admired. Teaware was then designed to make the most of this delicate color and so was born the beautiful blue and white porcelain for which the Ming Dynasty is renowned. With the arrival of tea to Europe, was also the tea set. 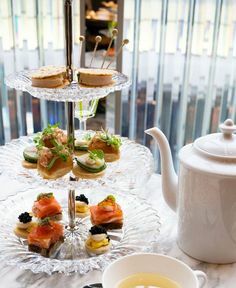 In Europe tea was first the domain of royalty and women, and ceramic, handle-less cups and saucers were used. In the mid 1700’s, to prevent the ladies burning their delicate fingers, a man named Robert Adams invented tea cups with handles. The English of course preferred milk and sugar with their tea and so Mr Adams obliged them by creating little milk and sugar pots to match their cups. 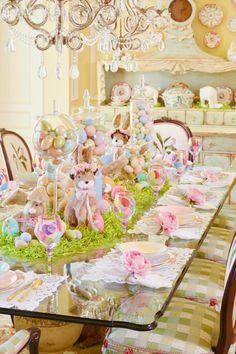 In keeping with the culture of refined English society, he had the sets made of fine porcelain which is strong yet quite translucent when held up to the light. It was the English who then developed fine bone china by adding crushed animal bone ash to the porcelain making it more durable. Porcelain endured as the medium from which to drink tea due to its conductivity and the fact that it left no lingering taste from previously held liquids. Its beauty and ornamental value caused it to quickly become a status symbol. These ‘useful decencies’ were as much the object of tea parties as the tea itself. 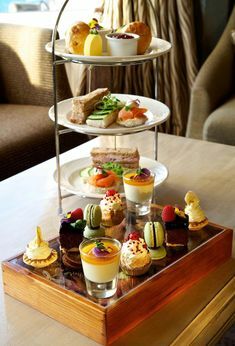 Decorated porcelain tea sets made up of tea cups and saucers, ‘creamers’ and sugar bowls together with the teapot make up what is now known as the English Tea Service Set. 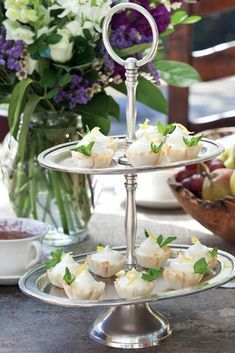 Typically, an English tea service set of the 1700’s was presented on a tray, which was then known as a ‘tea table’. These sets were normally used and proudly displayed at high tea (tea served later in the day). English tea cups were the object of many fine and artistic decorations and were often trimmed in gold. With the advent of tea becoming more widely spread among the classes, tea sets in varying grades were now to be found in almost every English home. Whole tea service sets, tea cups, teapots and fine china have always been fascinating objects for collecting, with many also becoming heirlooms. Often given as gifts for special occasions, they can pass on the important stories of a family’s history. The different styles over the centuries distinguish the cultures and their differing tea drinking preferences and customs. Next time you are taking time out for tea, think about the history of the cup you are drinking from or imagine what stories it might take with it to the next generation. Often given as gifts for special occasions and often becoming heirlooms, tea service sets can pass on the important stories of a family’s history. Next time you are taking time out for tea, think about the history of the cup you are drinking from or imagine what stories it might take with it to the next generation. If you’re looking for a special gift visit our website for a large array of beautiful tea service sets and tea ware. Tea Party Girl Asks: What’s your favorite part of the tea set? Which pieces do you collect? Thank you Dawnya for the weekly recipes. I have successfully used many of them. We have an annual formal tea to raise money to maintain above paradise garden. One of them, and I think I got it from you, was an open face sandwich with chicken, curry and coconut in the mix. Was that from you and if so, good you please send it to me. I made it up and let the rest of the committee taste it for approval, but the recipe got legs and disappeared on me. Our Tea will be Sept. 7 and we are making up a menu now. So, help, please and thank you.